A day out in Liverpool with a difference, we decided to bring our bikes. 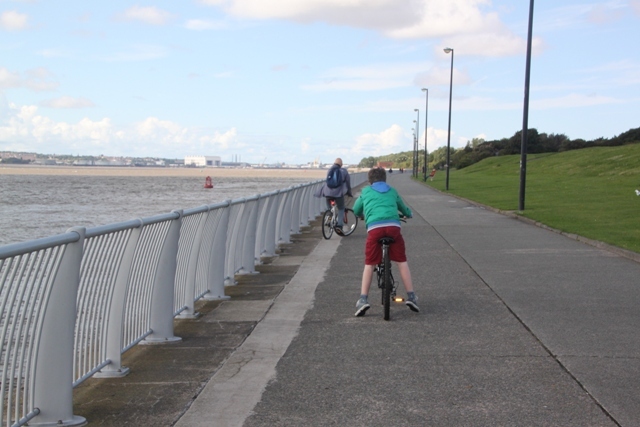 Previous visits to this great maritime city have involved much pavement pounding but when I read about a traffic-free cycle route into the heart of the city, we decided to give this a try. Parking five miles outside the centre in Otterspool we cycled on a wide, flat promenade right next to the River Mersey. Easy and hassle-free as well as completely safe with children, we totally loved this different way of reaching the centre. Cycle racks aplenty at the vast Arena building we decided to leave our bikes here and do the rest of our exploring on foot. It starts to get a lot more crowded, people everywhere and a Son who does not always pay attention to what is right in front of him on a bike helped with this choice. 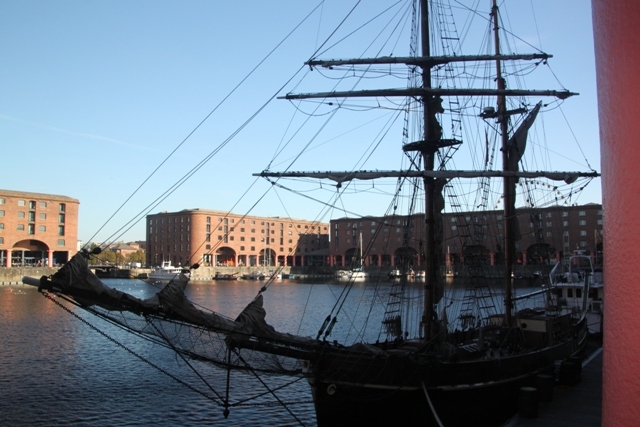 Just a little way further along from the Arena is the wonderful Albert Dock, always buzzing and busy, no change there on this sunny, bright day. 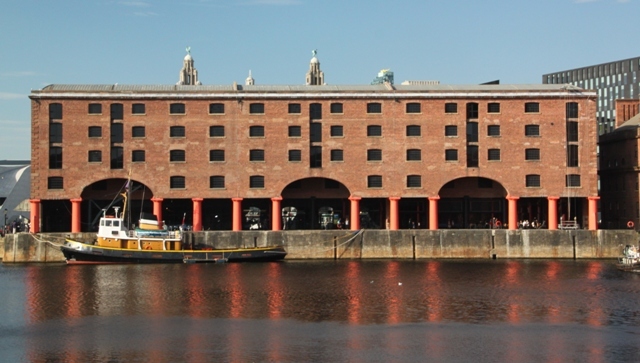 Magnificent architecture and a huge collection of Grade 1 listed buildings, we just wandered around soaking up the scenery and checking out the boats before briefly popping into the Tate Liverpool gallery for a quick browse and refreshments in their lovely café. 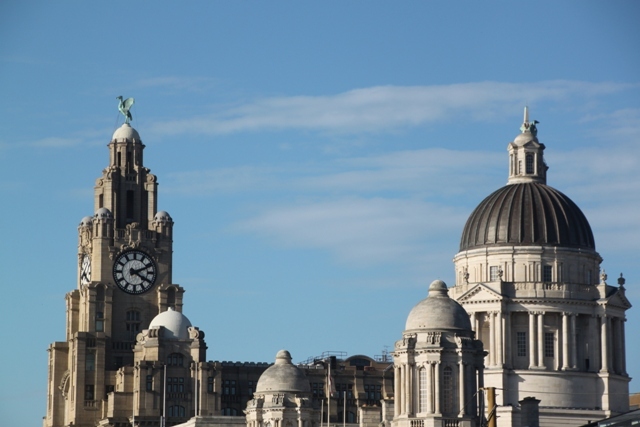 On towards the Pier Head and that most glorious skyline with the Three Graces – the Royal Liver Building, The Cunard Building and the Port of Liverpool Building. This is my favourite part of this city, I love these majestic and grand buildings. 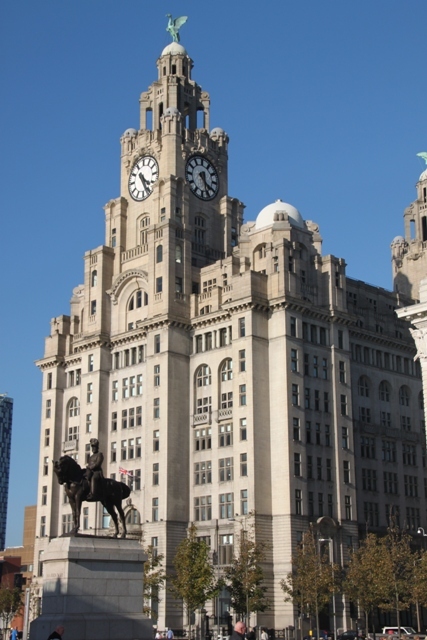 Son loves the Liver Birds sitting atop the clock towers – one apparently is female looking out to sea for her sailor husband to return; the other is male looking across to the city checking out when the pubs are open. 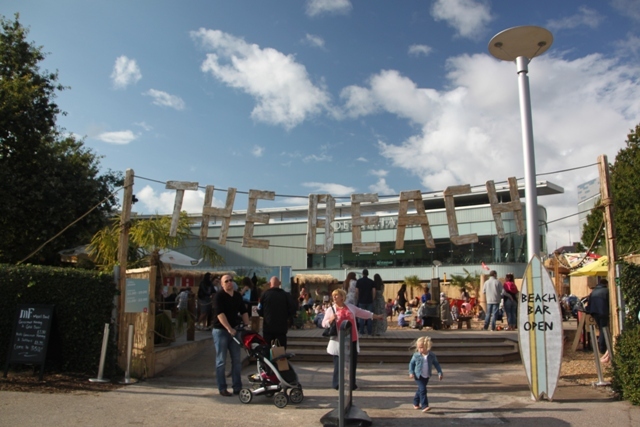 We found so much going on and a real festival atmosphere. 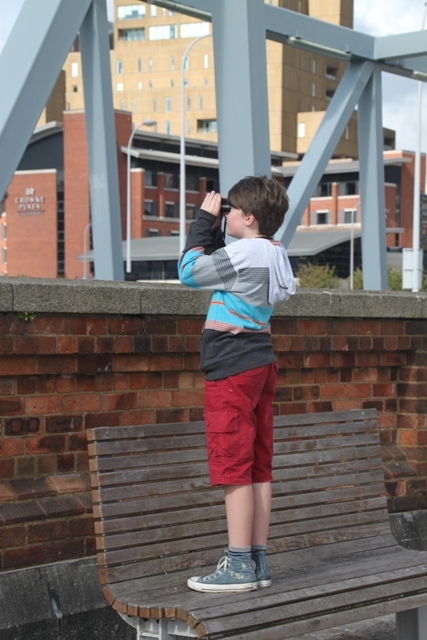 Son was happy to be a magician’s assistant, checked out some intriguing cow statues and then used binoculars to take a closer look at a huge cruise ship docked nearby. The ferry going across the Mersey also sparked a bit of interest. 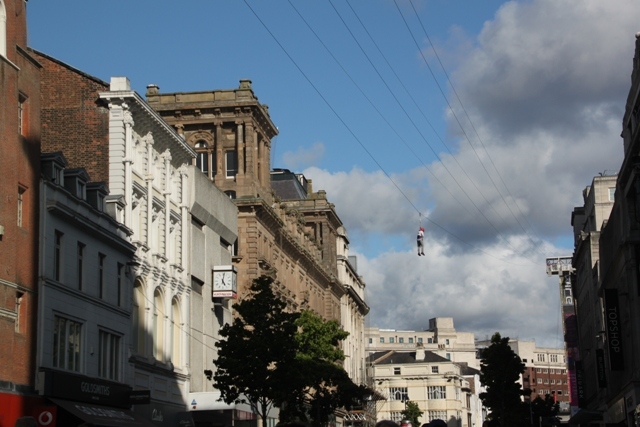 Right in the centre of the city we found a zipwire, high above a shopping street with no end of people lining up to partake of this thrill ride. Son was keen to try it out, I was more than a bit relieved he fell well under the weight restriction, something for another time. 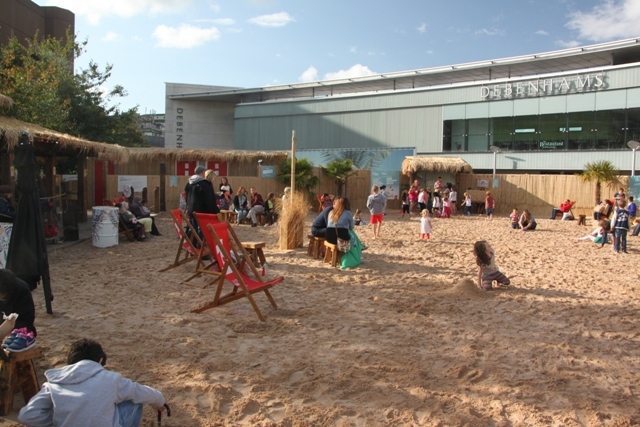 Close to the main shopping area was a “beach”, music playing and sand everywhere, we decided to have a quick drink and a bit of beach chilling before it was back to our bikes and that five mile cycle back to Otterspool. Great photos! What a great idea to get into the city on bike! It was loads of fun – cycling beside the river and then being right in the city was something I would definitely recommend! 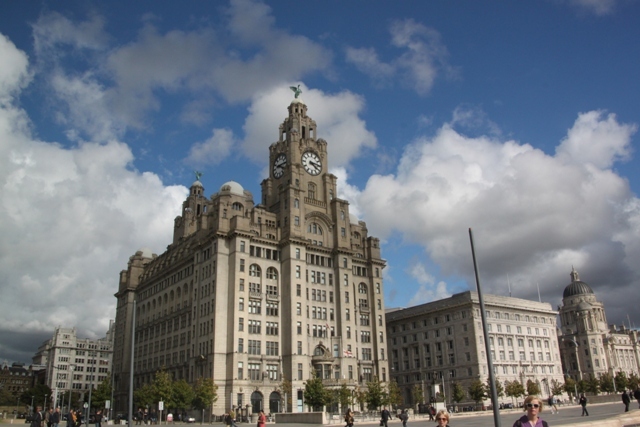 What beautiful, majestic and grand buildings in Liverpool! Absolutely, I just love the architecture here, like you say so grand and imposing. Such a beautiful place. Looks like you had fun 🙂 thanks for sharing this. We had a great day out, the sun was shining and cycling into the city was such a lot of fun. That’s good to hear. Have a nice day. One for the future Suzanne?? It is a great city, full of history and very beautiful too, especially by the waterfront. England in general is on the list as we have seen very little of it so far. We have been to York, Bristol, Bath, London, Cambridge, Oxford and driving in between but on highways so seeing nothing. We do need to one day plan a trip in that country! Down by the waterfront it is really vibrant and lively – the whole city is very lively to be honest. 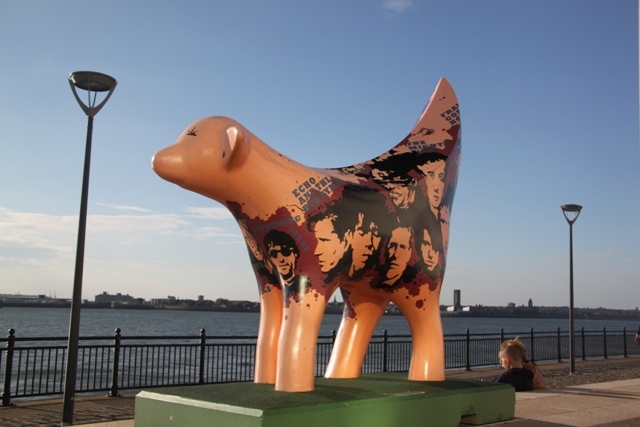 I love the Beatles too, keep meaning to do the sites connected with them when we go to Liverpool but somehow we seem to get side tracked with other things!! Twenty years ago I worked for a while in Liverpool. Thanks for reminding me that I need to go back sometime! I’m sure you would notice a lot of changes – so much going on there now, plus a really vibrant atmosphere, we loved it. I’m ashamed to say I’ve never been to Liverpool! It looks like a wonderful city, and so much to see and do. I like the idea of riding bikes, that’s definitely our way of exploring. I can see why you were relieved about the zip wire, but boy does it look fun! I’d love to give that a go! Cycling into the city meant no parking hassle and some great views over the river. It is a wonderful place to visit, especially with children, so much to see and do!! Once again, you had me with the boats! Love travelling vicariously with you – it’s the perfect antidote for fall doldrums… Lots of inspiration for daydream holidays! I know exactly what you mean – the sun was shining here so it made for a lovely day out. However we are now into much darker and shorter days, winter is coming!! Ok, now I now have competing ear worms! Ferry ‘cross the Mersey and The Liver Birds (You dancing? You asking? I’m asking. I’m dancing.) I guess I’m showing my age with both of those! I’ve only been to Liverpool once, in the 80s when a friend was a doctor there. It wasn’t the best time to go so we really should try again sometime. You’ve brought out its attractions well. My mum loved the Liver Birds – I remember vaguely watching but I do remember those phrases!! 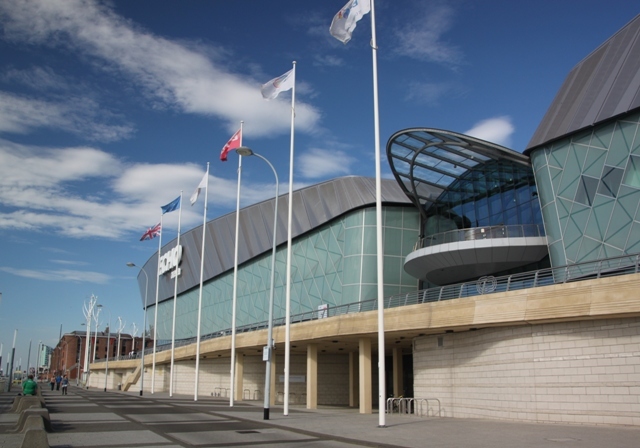 We really enjoyed our day out, it definitely helped that the sun was shining but there is so much to see and do I think whatever the weather would be a good time to visit Liverpool. 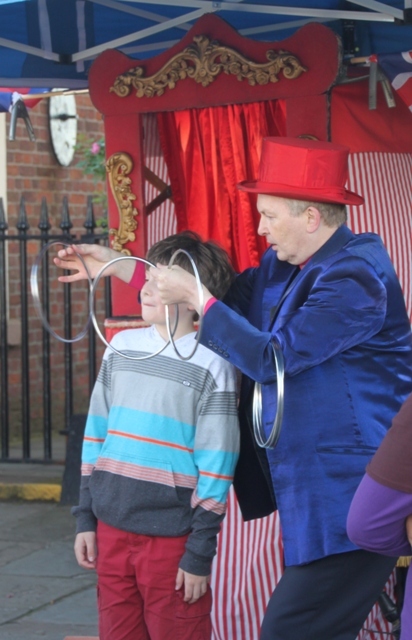 Really like the picture of the magician’s assistant, your son. I also really like the zip line. I looked for a nice picture of you enjoying your bike ride or at the beach restaurant. He’s always game to help out with a magic trick!! Looks like a great time, that’s so fun that there’s a beach and a zip line. I’ve only been to Liverpool for work, clearly something I need to remedy soon! The weather was great that day – always helps, unfortunately the beach and zip line aren’t there all the time but there is still loads to see and do. We always have a great time when we visit!! 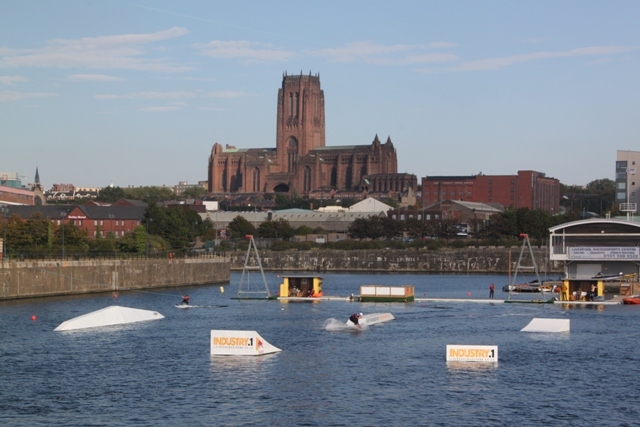 Joy, I loved this post because we were in Liverpool over the summer and it was a great surprise of a city! The Albert Dock, the museums, the Three Graces were spectacular and of course, we had to visit some Beatles sights! Thanks for the opportunity to see it through your eyes and by way of a bicycle. We pounded the pavement! Blessings! I remember your posts Pam, noted down the Beatles places, something we must do sometime!! Isn’t it a great city, like you say surprisingly lovely, we thoroughly enjoyed our day out and the bike ride was so much fun! Looks like an interesting place, especially the beach. 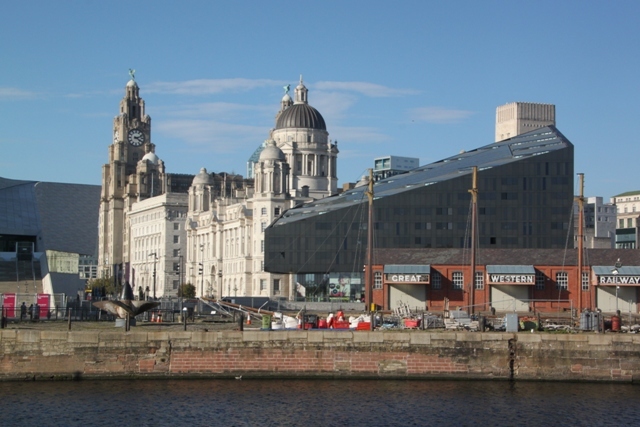 Is Liverpool much different than other parts of England? Liverpool has a character all of its own George that makes it unique – a cheeky charm. The people are really warm but there is so much to see and do too – lots of galleries and museums and of course that incredible musical heritage. I could go on forever…. 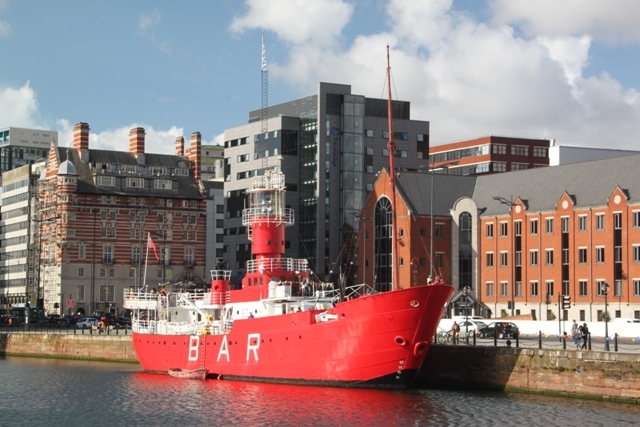 It’s a great city, loads going on and plenty to see and do – the atmosphere is wonderful. The zipline was fun – just very high!! 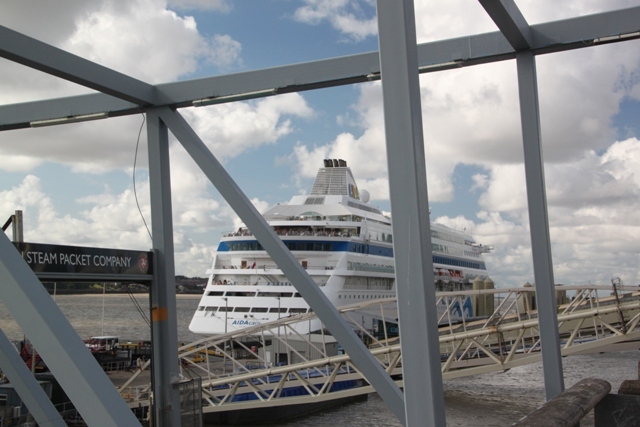 I had Ferry Cross the Mersey running through my head as I read your post (showing my age?) so I was glad when it made an appearance. The liver birds intrigued me. I assume they are named for the city, not a real thing? We had the same song in our heads too as soon as we saw it!! I think the birds are named for the city although you pronounce it differently, they are the symbol of Liverpool and pop up everywhere. What a wonderful post. Sounds like a great day out and a great idea to ride in. My boys and I really enjoyed Liverpool. It is so child friendly, great public transport and there is so much to see / do for free, we were spoilt for choice :). Completely agree, all the museums are wonderful and like you say, free to enter so it’s great!! Glad you enjoyed it too. It’s a great city, so vibrant and lively, makes for a great day out! Your husband sounds like mine Rosemary – perfect recollection of football matches and the scores even from years ago. That sort of thing never sticks in my mind!! 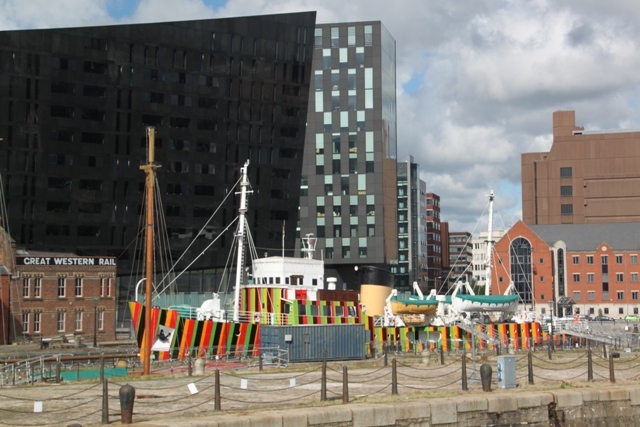 Liverpool is great now, so many changes and improvements especially the dock area and by the waterfront. If the sun is shining it’s even better, makes for such a great day out. Just about over the dreaded jet lag, the older I get the harder it seems to be!! It helped our son is on a school trip for the last couple of days so I get to have a long and much needed lie in!! Coming back to dark dreary weather doesn’t help though…. Hope your weekend is a great one too. What lively fun photos! Thanks for liking my blog—my travels took place long ago. Thank you!! It is a city full of life and fun for sure. Hi Joy! Thank so much for liking my post Xochimilco! I really appreciate the support from other bloggers! Thanks Elizabeth for dropping by here too!! This tour looks like so much fun. Enjoyed it very much. Love the boat pics. Thank you! Isn’t the boat quite something with all those colours. Yes it is! Such fun.